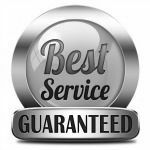 Jerry's World Satellite Site to be in Frisco - Your Guide to Finding the Frisco Home You'll Love! 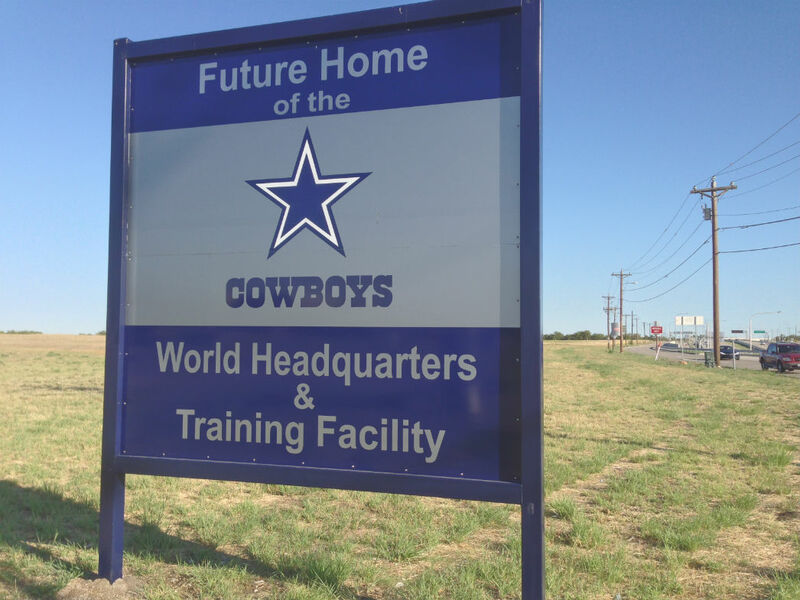 Evidently Jerry Jones has outgrown Valley View Ranch as the Cowboys recently announced that Frisco would be the new home of the Cowboys World Headquarters and Training Facility. The $115 million development will be located at the northwest corner of Gaylord Pkwy and the Dallas North Tollway just north of Hall Office Park and northwest of Stonebriar Mall on the east side of Gaylord Parkway from the COWBOYS facility when completed. Dallas Cowboys long known as America’s Team will share their facilities with the Frisco Independent School District which will include a 12,000-seat indoor stadium and two outdoor fields. Cowboy headquarters and practice facility will sit on 25 acres and will anchor a larger mixed-use development, which will include retail, restaurants, corporate offices and a luxury hotel. The city-owned facility will cost a minimum $115 million with the Cowboys picking up anything above the $115 million for a “special” facility designed to stand the test of time. Overall the development is a 91-acre tract development with the remaining 66 acres to encompass 1.2 million square feet of corporate office space, 400,000 square feet of retail and 51,000 square feet of restaurant space. A luxury hotel with about 480 rooms is also planned for the site. The project is expected to have a $23.4 billion economic impact on the city of Frisco over the next 30 years, while bringing 4,500 new jobs and 1.26 billion in tax revenues to the city of Frisco. Needless to say Frisco is excited to have the No. 1 sports franchise in the world located in their city limits. 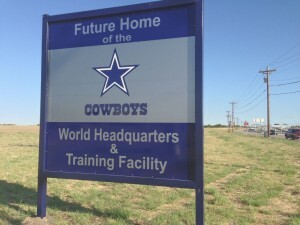 But for those not familiar with Frisco the new Cowboys headquarters and training facilities are not the first development Jones has done in Frisco. Jones’ real estate development firm Blue Star Land started in Frisco-Collin County in 1993 with the 550 acre upscale gated luxury home Starwood subdivision. As the story line goes in the link of the previous sentence the net worth of Jones’ Blue Star Land probably exceeds the value of his $1.2 billion AT&T stadium in Arlington. And that’s Jerry’s World!